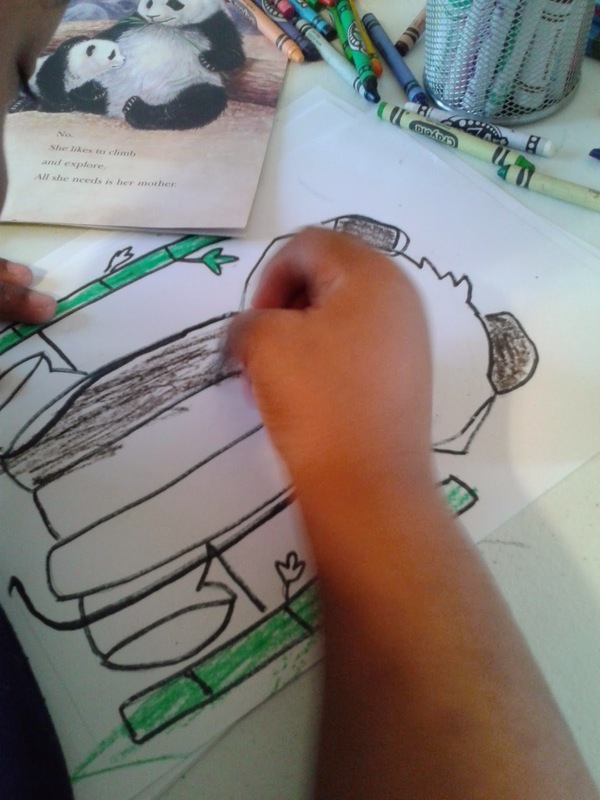 I found the coolest little panda on instagram that I liked so much that I decided to draw one for my little bambino to color with her crayons . 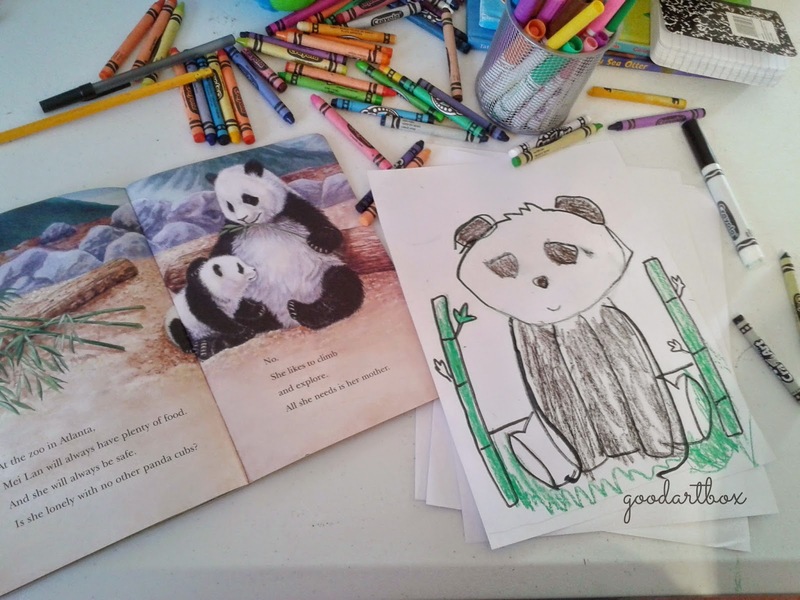 She was already reading the book, "A Baby Panda is born" and this drawing tied in nicely. Do you ever think about the colors in nature and the colors of animals? From reading this book, we learned that the Panda Bear is black and white to blend in with the rocks and snow in a very cold part of China. I see the love of God in that. ...protection from danger for the pandas by blending in with nature.